In a Nutshell: FinCon, “where money and media meet,” is the premier finance media conference. This year’s gathering is in San Diego, California from September 21-24 at the Sheraton San Diego Hotel & Marina. Digital content creators from around the world will gather and learn from experts and industry leaders how to create, promote, and profit from quality financial content. In its sixth year, FinCon16 is sure to be the biggest and best one yet. When you work in a large, competitive niche like finance media, networking opportunities are essential. And with online media evolving so rapidly, routine is only a myth in this industry. In order to succeed, you have to get connected and informed. That’s why it’s so important that FinCon – the premier finance media conference – exists. Last September, I attended my first FinCon in Charlotte, North Carolina, and it opened my eyes to a world of opportunity. FinCon gives us writers, podcasters, videographers, and financial products and services companies the opportunity to come together and learn from our peers as well as from industry leaders and experts in their fields. It also gives us the opportunity to meet face-to-face with people we’ve only worked with over email/phone/Skype/social media in the past, or hope to work with in the future, and the opportunity to introduce ourselves to the people who inspire our own work. For instance, I got to meet Gerri Detweiler, a leading credit expert and one of the biggest names in finance. I was so (unnecessarily) nervous to talk to her, but she ended up being one of the nicest people I’ve had the pleasure of meeting — and it led to us working together. I recently spoke to the man behind FinCon, Philip Taylor (a.k.a. “PT Money”), who wants its attendees to feel empowered by what they can learn at the conference. Philip told me FinCon’s primary focus is teaching how to create, promote, and profit from quality financial content. 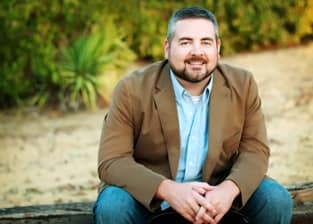 Philip began his financial advice blog, PTMoney.com, in 2007 with the knowledge he acquired during his career in financial auditing and public accounting. He began interacting with other finance bloggers and content creators and naturally gravitated toward working in unison with these people, helping each other better reach consumers. This camaraderie inspired him to create an event where people with similar interests could gather and share their ideas, their success stories, and their failures. “It was in 2010 that I first started actively going to other conferences and meeting other people in the space. I met another blogger and he and I spent the whole time talking shop, sharing ideas, and helping each other out. We worked together to figure out how to improve what we were doing,” said Philip. “That camaraderie, that sort of non-competitive ‘let’s help each other out’ attitude was very powerful, and it started working with what I was doing at PT Money, and I wanted more of that. Eventually after more meetings with other people, I had the idea to bring all of that together,” he added. Philip was reflecting on this idea when he decided to ask for his wife’s opinion. “I literally got up and built the website, started an email list, and sent it out to everyone I knew and said, ‘Hey, get involved here, be a part of it, and help me build this event where we can all come together and share ideas, and ultimately help other people with their money issues,’” he said. And just like that, 225 people showed up in a suburb of Chicago in 2011 for the first FinCon, then known as the Financial Bloggers’ Conference. Since then it’s grown to the extent that it required a name change. Philip wanted to broaden the scope of content at the conference and didn’t want to exclude content creators who weren’t necessarily publishing blogs — FinCon now stands for Financial Content Expo. 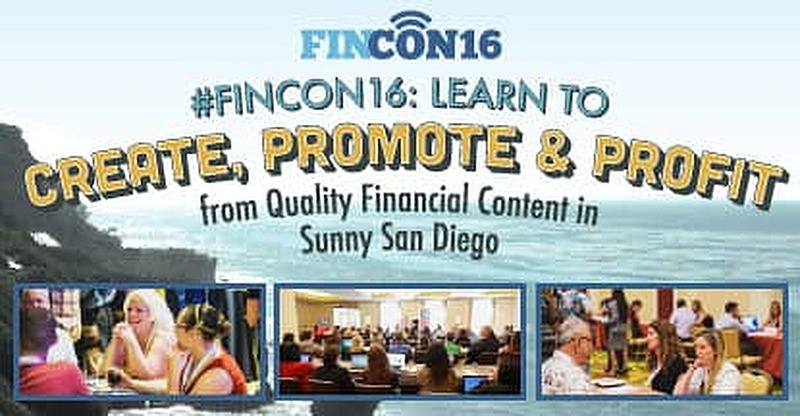 Now in its sixth year, FinCon is scheduled to take place September 21 – 24 at the Sheraton San Diego Hotel & Marina. The chance to meet with such big players in the finance space face-to-face is an undeniably great opportunity, and one you can’t afford to miss. One of the most advantageous features of FinCon are the keynote speakers. Some of the biggest names in the industry come to the conference to share expertise in their particular niches. Previous keynote speakers include Carl Richards, Certified Financial Planner (CFP) and Director of Investor Education for the BAM ALLIANCE; Jennifer Roberts, President of the Affluent/High Net Worth Card business (a division of JPMorgan Chase & Co.); and Jean Chatzky, financial editor for NBC’s TODAY show. FinCon is open to the public, and anyone interested in learning to create compelling online content and discovering new trends in the money and personal finance space is encouraged to attend. There are two passes available — the FinCon Pass and the Pro Pass. The Pro Pass is only available in limited quantities, and it offers coveted networking opportunities. “The Pro Pass helps you easily connect with the sponsors & exhibitors looking to do business with you and your brand. The Pro Pass gives you access to the Pro Networking online scheduling system and onsite event. Pro Pass attendees can also attend the Speaker/Pro Mixer, typically held on the first full day of the event,” according to FinConExpo.com, the official FinCon website. FinCon passes are currently available in three price tiers: super early bird, early bird, and regular. The earlier you purchase, the more you save. A block of rooms has been held at the Sheraton San Diego Hotel & Marina for conference attendees at a discounted rate of $169 per night with free WiFi and no resort fee. Availability for these rooms is limited, so act fast and book your room here. The discounted rate is only available until August 28. Now don’t get me wrong – FinCon certainly isn’t all work and no play. 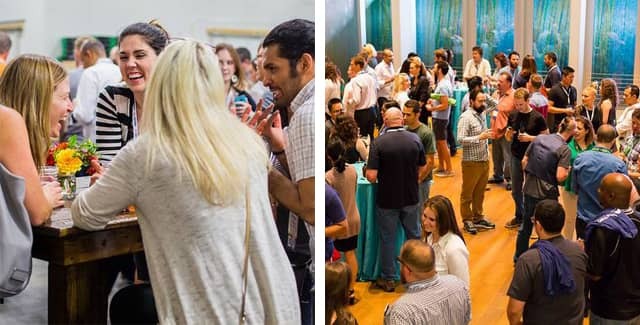 We stereotypically stuffy finance people like to party too, and FinCon has some great parties. My colleagues and I went to an offsite after-party at a local bar, and I’ll say one of us may or may not have ridden the mechanical bull after enough liquid courage. There’s always a kick-off party to commence the conference, a closing party on Saturday night, and plenty of social events in between. Last year’s conference in Charlotte even offered a brew tour that allowed conference-goers to leave the hotel and explore some of the local culture. Philip and his crew of event organizers ensure there’s an equal balance of business and pleasure. All of this is included in your pass — if you’re up for it after a 12+ hour day of talking, walking, learning, teaching, listening, watching…and repeating it all the next day. Make no mistake, FinCon can be exhausting, but I mean that in the best way possible. In the future, residents in the city FinCon is being held in each year may not have to purchase a full-priced conference pass if they just want to come check things out. Philip said he’s excited to potentially have a consumer-facing day where local residents can experience FinCon by attending a workshop, seeing a keynote speaker, or discovering what’s new in personal finance and investing. “It would be a very low price point for them, and we would work with financial institutions and radio stations to get the word out to as many people as we could to come in and learn some things, check out the expo hall, and call it a day,” said Philip. “That’s exciting to me because that has the potential to make a bigger impact on the regional consumers. It would give it more of a tangible feel like ‘Hey, what we’re doing here really is affecting consumers,'” he added. My first out-of-town work conference was much more than I expected it would be. Besides all that there was to learn and take away with me, I got to meet many influential people that I remain in touch with who have helped advance my career. As Philip stressed, it’s important to nix the competitive attitude in this industry and work together to better and empower each other. He expressed his appreciation for the people who attend FinCon and said it’s a privilege to be the one to organize this event. “I’ve treated it like an association; No one elected me into this position, and it’s an honor to be able to do it for folks who allow me to continue to run this event and be a host for them,” he said. For more information and to register, visit FinConExpo.com.